Our oysters are shucked and graded by hand to ensure our customers receive a consistently high quality product. 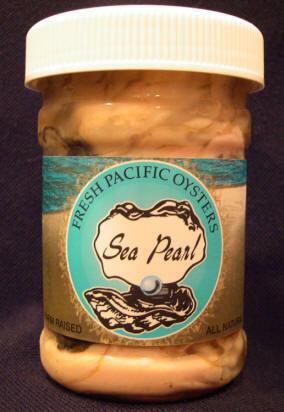 Shucked oysters are packed in natural spring water that flows down from the glaciers on Mount Rainer. This same glacial water feeds into the Nisqually River and provides the nutrients and minerals that make our oysters sweet and plump. 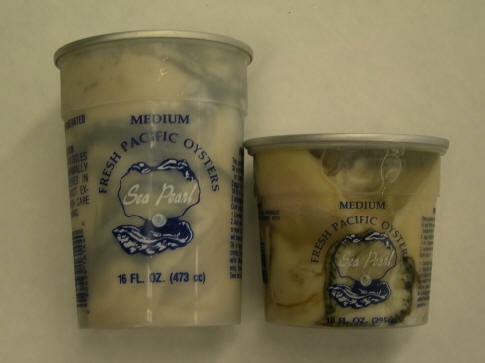 We package our oysters in both jars and pull top containers in 10 and 16 ounce sizes. We also package quart and half gallon tubs for restaurant and food services customers. 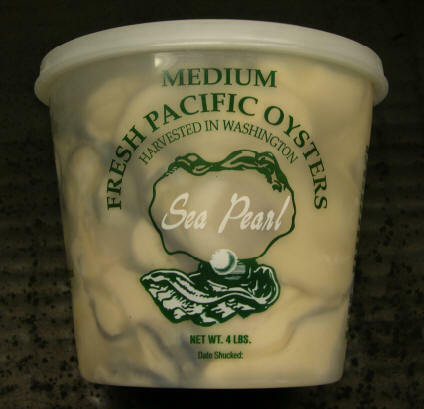 Our Nisqually Sweets are perfect year round, both raw on the half shell or cooked on the barbecue. We are also growing limited quantities of European Flats and Kumamoto’s. Note: Products should be kept refrigerated at all times. Shucked oysters should be cooked to at least 145 degrees F.
We offer Manilla clams grown at our farm in Nisqually, as well as clams sourced from various growers throughout the Puget Sound and Hood Canal regions. 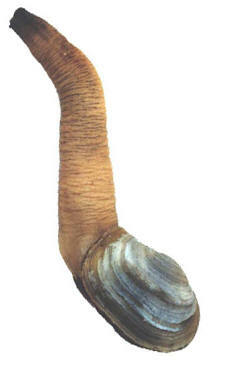 National Fish and Oyster is making substantial investments in geoduck cultivation. This product is currently available to our customers in limited quantities.